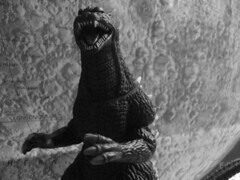 Have I shown you my black and white picture I took of my Godzilla figurine? No? Well, I have now. And quite well done it is. A word or two on the background, if you please?